Kaecey McCormick is a language artist and educator located in the San Francisco Bay Area. Kaecey writes poetry, fiction, nonfiction, and enjoys creative art and experimentation. Her poetry and prose have been featured in numerous literary magazines, journals, and websites, and her chapbook, Pixelated Tears (Prolific Press), is available here. In addition, Kaecey works as a freelance writer and writing educator running small-group workshops, seminars, and tutoring programs for community members of all ages. When not focused on her writing, Kaecey teaches English classes at a local community college, volunteers in the local reading program helping adult literacy learners and at a local food pantry, and enjoys family time in the beautiful SF Bay Area with her husband and their four daughters. She holds undergraduate degrees from UCLA and the University of Maryland, and a graduate degree from Lindenwood University. She also has numerous post-graduate certificates in marketing, writing, and education. 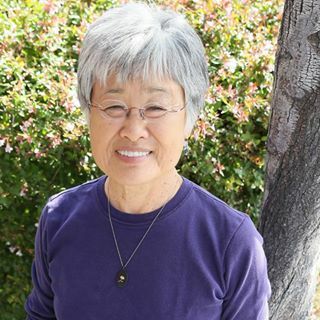 Her term as Cupertino Poet Laureate will end December 31, 2019.